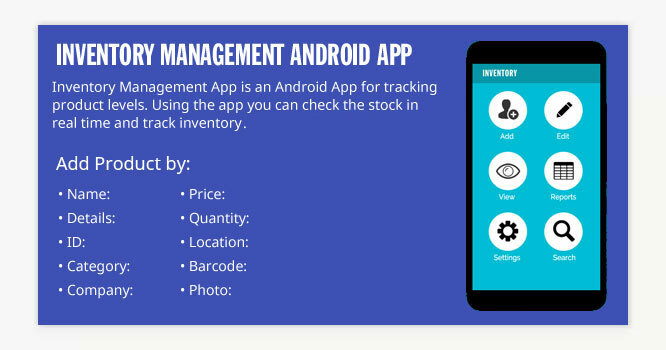 Inventory Management App is an Android App for tracking product levels. Using the app you can check the stock in real time and track inventory. Check to see what products are available or running low. View all your products as a complete list or view reports. Receive notification of low inventory levels. Reduce paper flow, carrying costs, automate inventory control and get the information you need to manage your inventory and suppliers.